"~~OPEN HOUSE~~SATURDAY APRIL 13, 2-4pm~~ Backing onto farmland, this corner lot offers peace and serenity just like living in the country with all of the amenities of town. The home is a 1187sf bilevel with 3 beds, 2 baths, a double attached garage and partly finished basement. The main floor offers open-concept living which has been freshly painted. There is a gas stove/fireplace separating the living and dining rooms. The dining room has enough space for a large table and sideboard or other furniture as well. Framing is complete in the basement for a bedroom and rec room plus flex area that could be whatever your needs make of it. The oversized laundry room will also meet your storage needs & there is a perfect space for a wet bar or closet at the bottom of the stairs. Large windows throughout this home bring loads of natural light in both the main floor and basement rooms. 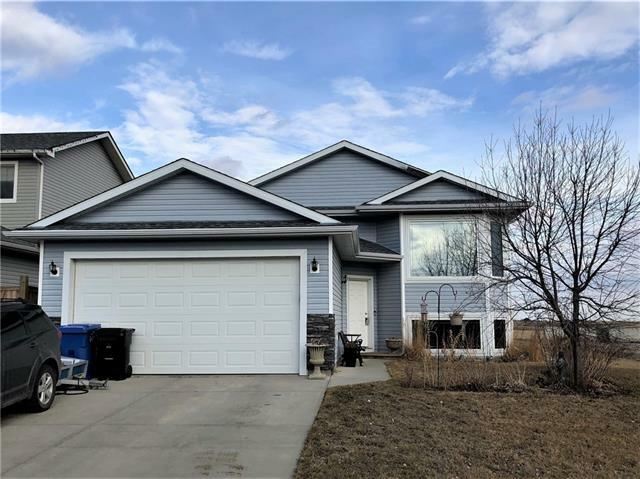 Call your favorite local agent to have a look at this property today!"